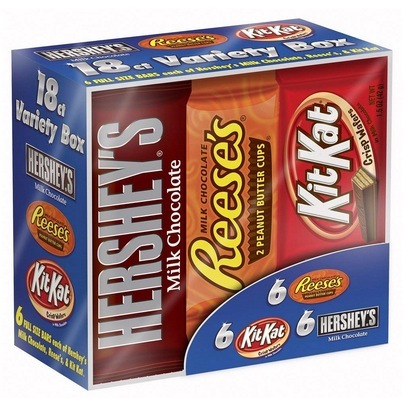 Home /Blog/Hershey Candy Bar Assorted Variety Box (18 count) only $8.88 shipped! You can get a great deal on this Hershey Candy Bar Assorted Variety Box right now! YUM! Amazon has this Hershey Candy Bar Assorted Variety Box (18 count) for only $8.88 shipped when you clip the 20% off e-coupon and checkout through Subscribe & Save!